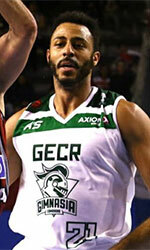 Guerreros de Carabobo (Serie A) inked 26-year old Venezuelan international point guard Edwin Mijares (186-92). He played most recently at Deportivo Viedma in Argentinian La Liga, but left the team in Nov.'18. In 5 La Liga Argentina games he recorded 3.6ppg, 1.4rpg, 1.0apg and 1.0spg this season. The last season Mijares played at AB Ancud (Liga Nacional) in Chilean league where in 9 games he averaged 8.2ppg, 2.1rpg, 4.1apg and 2.1spg. Among other achievements his team made it to the Venezuelan LNB Semifinals for two years in a row (2016 and 2017). 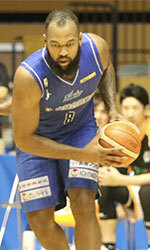 Mijares received also Latinbasket.com All-El Salvador Liga Mayor Torneo Clausura Defensive Player of the Year award in 2017. He has been regularly called to Venezuelan Senior National Team since 2017. Mijares has played previously professionally in Venezuela (Toros, Araguenos and Metropolitanos) and El Salvador (Isidro Metapan).